I’ve displayed on the table 9 swatches that show the progression of Dark Blonde dye from 0 to 45 minutes. 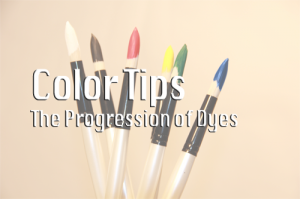 The first swatch is the standard used for all dye-outs. It is natural white hair. 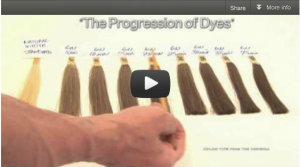 All of the swatches were dyed on natural white hair.